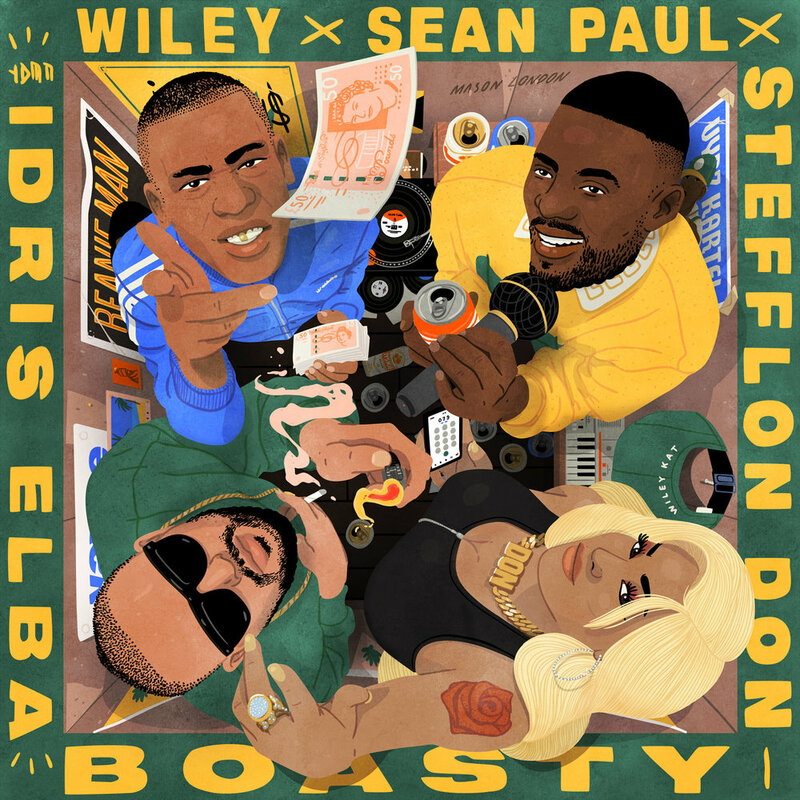 In 2019 I designed & illustrated the sleeve artwork for Wiley’s single “Boasty” featuring Stefflon Don, Sean Paul and Idris Elba. Because of the song’s heavy ragga influence I decorated the room in the artwork with a load of ragga references; posters of Beanie Man and Vybz Cartel and a Casio MT-40 synthesiser which was the keyboard that Wayne Smith used to create the seminal ragga song “Under Mi Sleng Teng.” I made static and animated versions of the artwork. Animated artwork used on socials.